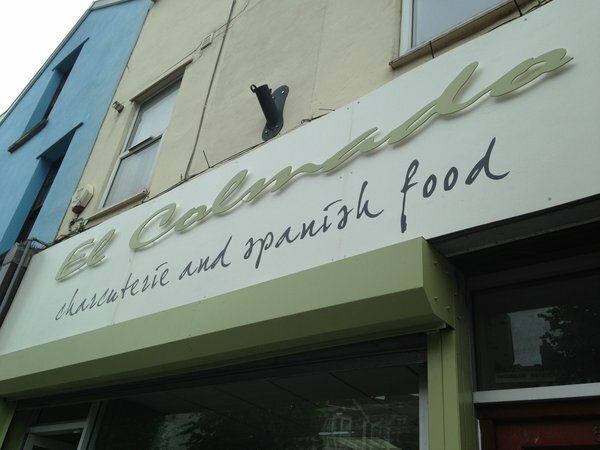 Since June 13th, Gloucester Road has had its very own touch of Spain in the form of El Colmado – a fantastic new deli dedicated to all things Spanish. 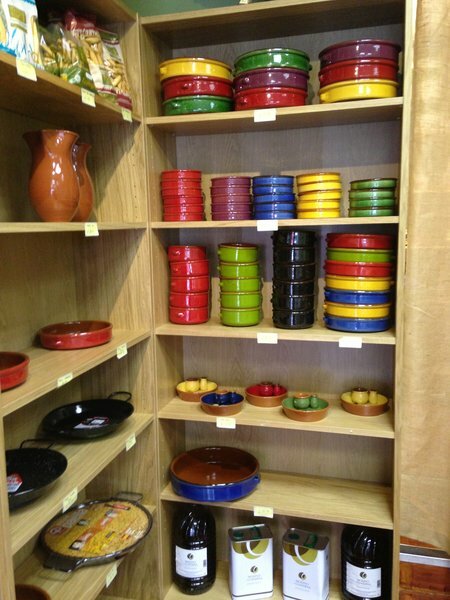 It’s clear from speaking to owner David Pavon that he’s thought long and hard about his stock, and his passion for the products that he sells is obvious. 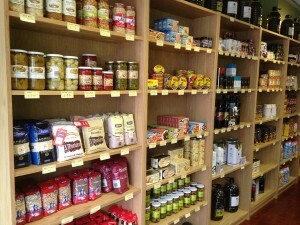 He’s keen to introduce people to a whole range of Spanish products that they may not have heard of, and offers incredibly useful suggestions as to how these products should be used. 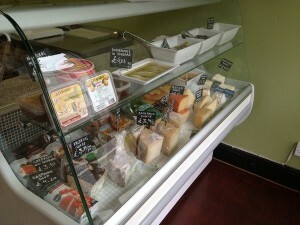 The cheese counter, as you would expect, includes Manchego, but also a whole lot more. Choose from blue cheeses Valdeon and Cabrales (I bought a chunk of the latter, after David recommended mixing it with a few drops of sweet cider to make a paté – beautiful), which sit alongside smoked Idiazabal, Tetilla, Zamorano, Mahon and more. You can also buy membrillo and fig and almond cake to accompany your cheeses. 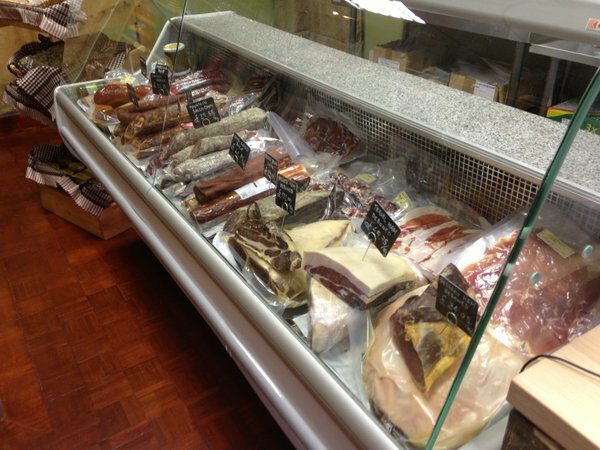 Head to the charcuterie counter and you’ll be faced with a dazzling array of cured Spanish meats, but David is on hand to explain the differences. He tells me, as I taste a piece of beautifully salty and smoky beef ham, that he’s aiming to introduce the people of Bristol to new things, but without the prohibitive expense that he believes people expect when buying from a deli. There’s a price point for everyone – Serrano ham at £31.05 per kilogram for those on a more restricted budget, to Bellota ham at £132 per kilogram for those looking for something more special. 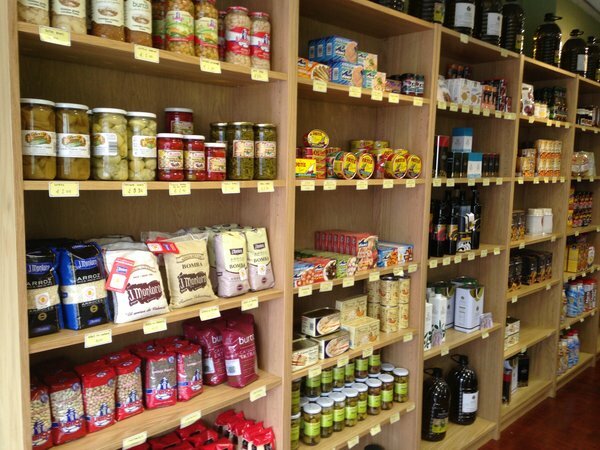 He offers two varieties of both lomo and chorizo – standard or acorn-fed – and I was pleased to see that he also stocks sobrasada (a spreadable Spanish sausage, similar in taste to chorizo), which I took home and served on toast for a light dinner. Still being a very new business, there’s more to come from El Colmado. David explained that he is waiting for the delivery of a freezer, so that he can sell meat, Spanish ready meals and also stock for paella, telling me that it is hard to find decent paella stock over here. He’s also bringing in fruit and vegetables from Spain – tomatoes, melons, oranges and more – and will be offering recipe suggestions to customers who may otherwise not know what to do with a jar of garlic shoots or some other unknown ingredient. Hi Do you sell the Judion de la Granja drided beans [Lima beans] and what is the price.